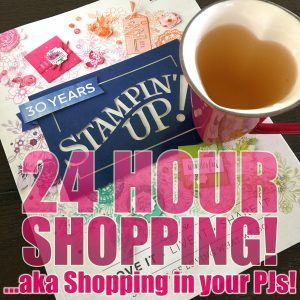 Fine Tip Glue Pen by Stampin’ Up! 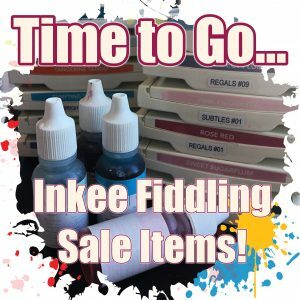 The Fine Tip Glue Pen is located on page 213 of the 2018-2019 Annual Catalog. This fabulous design alleviates the old “pin in the bottle” technique! Swirly Bird is still here… PHEW! 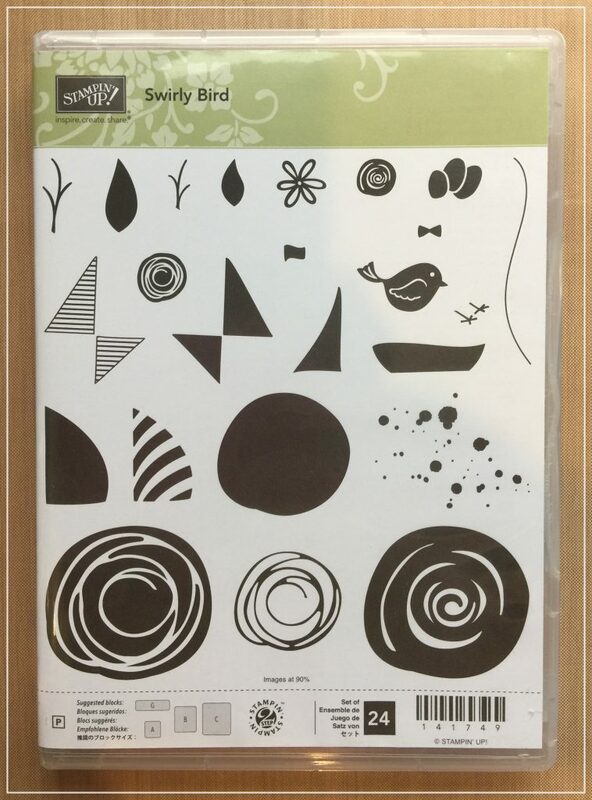 This week I’m having a swirly good time with the Swirly Bird Stamp Set and the matching Swirly Scribbles Thinlets. 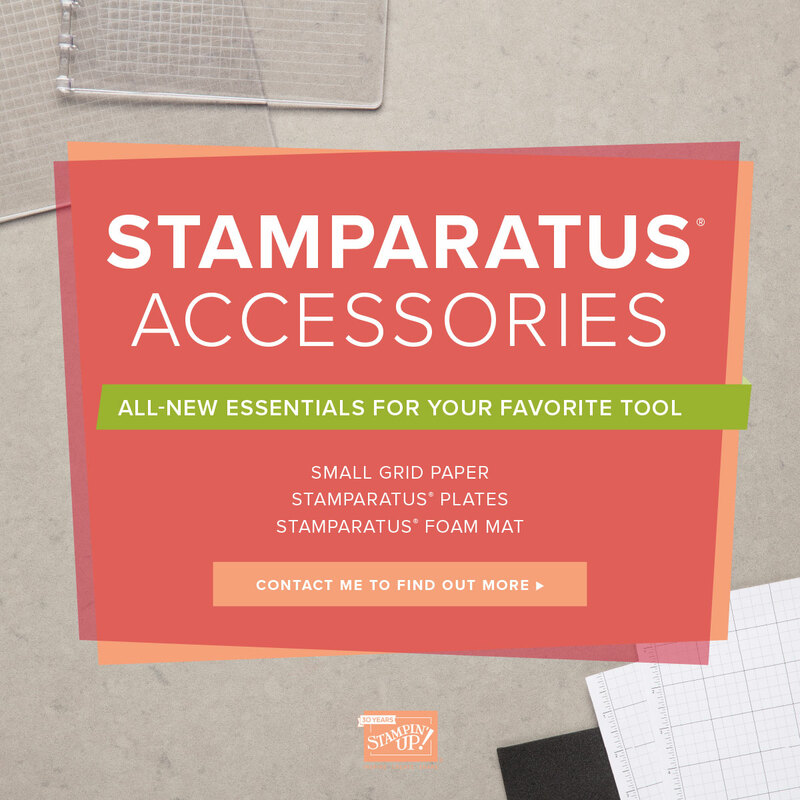 Who knew there were so many possibilities with just the one stamp set? This set, like last week’s stamp set, contains 24 photopolymer stamps. 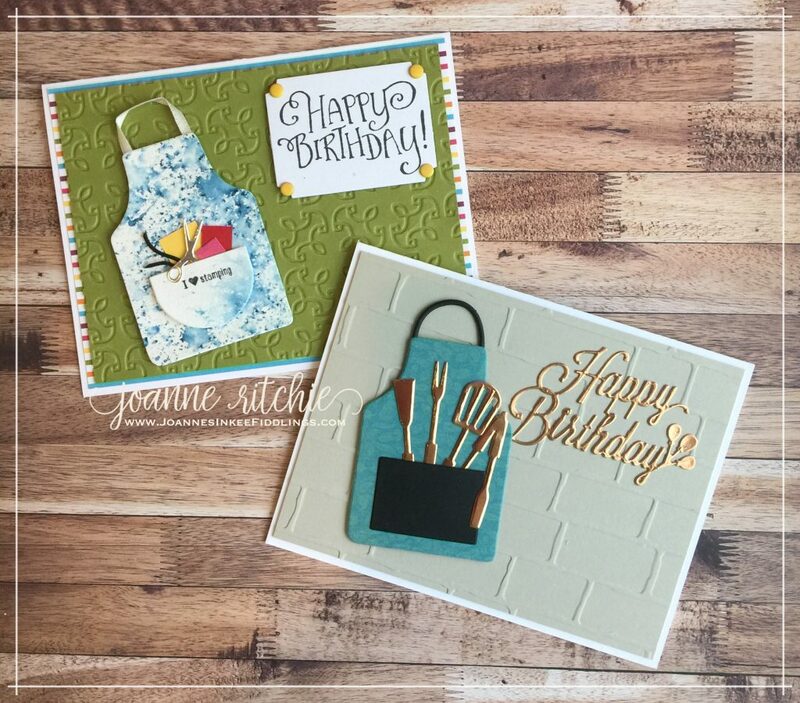 These give you so, SO many possibilities for cards or other projects. This was a set I actually bought two years ago but hadn’t used until now. Thank goodness it can be found on page 159 of the 2018-2019 Annual Catalog with the thinlets being on page 220. 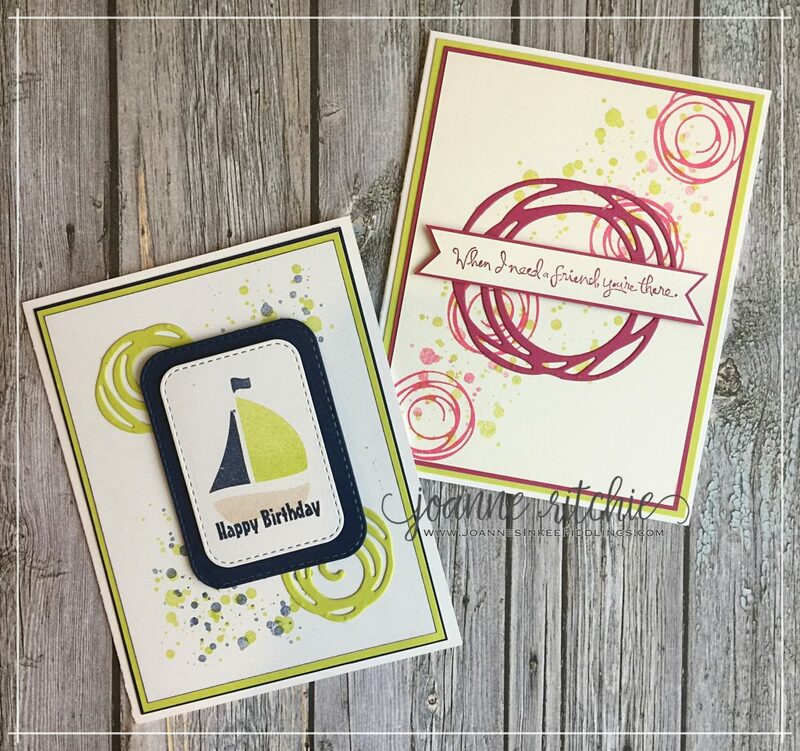 My goodness, this Sitting Pretty Bundle of 16 Photopolymer Stamps and co-ordinating Framelits Dies is so, so versatile and dare I say it, pretty! This bundle can be found on page 25 of the Annual Catalog and yes, this is yet another bundle that is on my ever-growing birthday Wish List for next month! 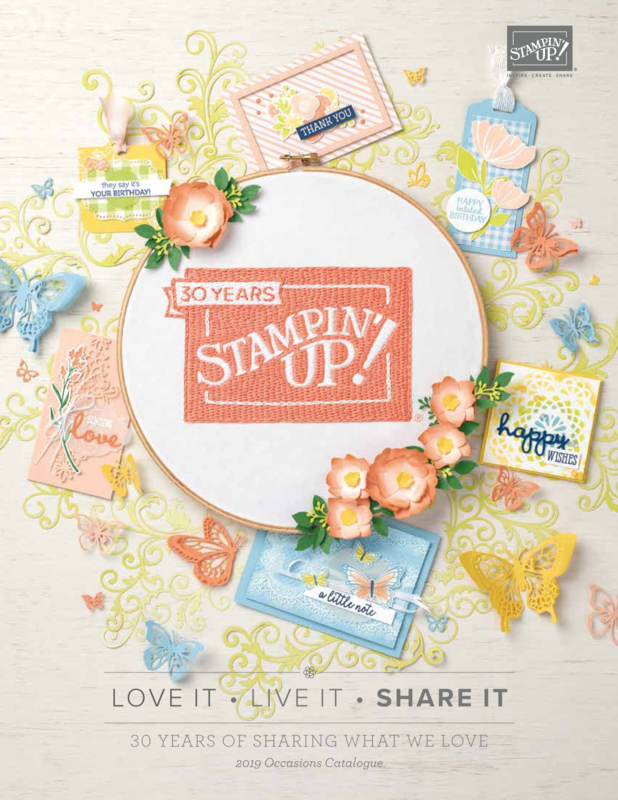 This is another of those stamp sets that it wasn’t until I saw what others were doing that I finally decided that I really needed to add both the Apron of Love Stamp Set and it’s matching Apron Builder Framelits Dies to my stash. And I’m so glad I did! 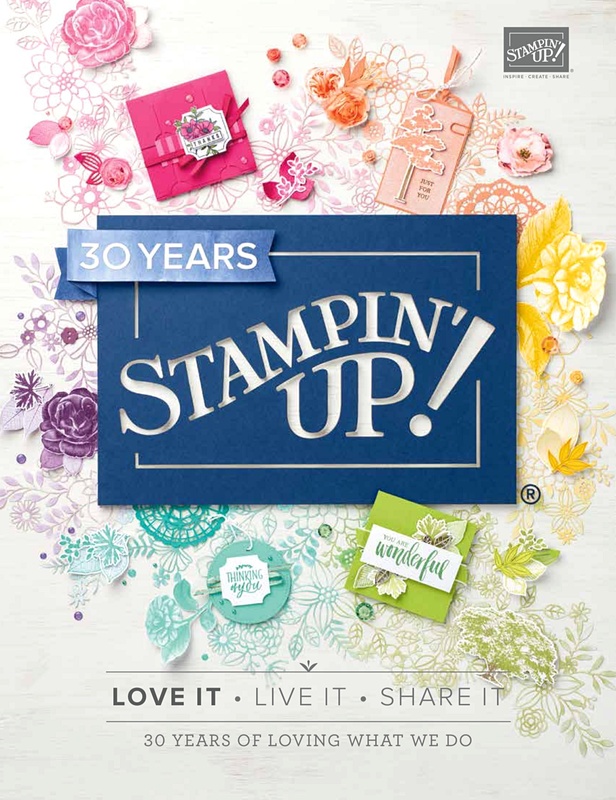 This stamp set contains a whopping 24 photopolymer stamps that covers everyone – mom, dad and your friend, along with an array of love’s for every occasion – baking, bbq and even stamping! 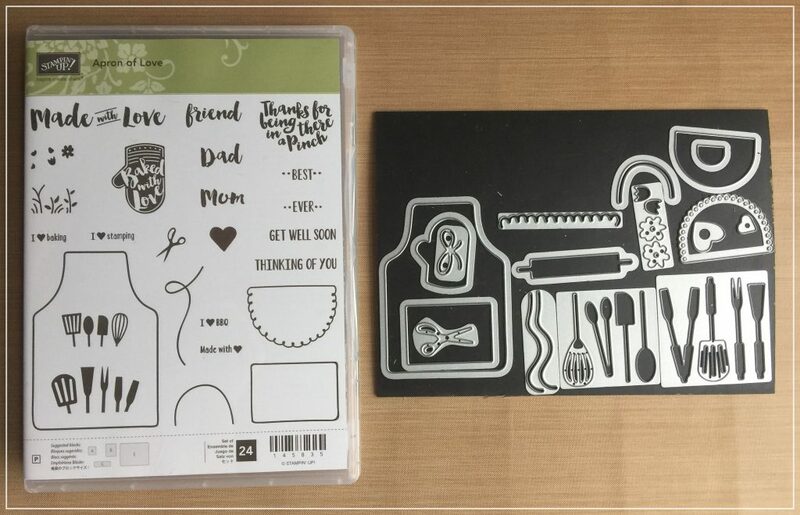 This set was originally offered in the Occasions Catalog but can now be found in the new 2018-2019 Annual Catalog on page 61 with the thinlets on page 215.